Guest comment this morning: This place is so special - time just seems to stand still. I thought: time DID stand still last night! We changed from daylight savings time to standard time. All of our guests (actually, all of us) had an extra to read, sleep, relax, visit with friends, and just enjoy time together. Tonight the darkness will descend earlier - reminding us that winter will be on it's way. 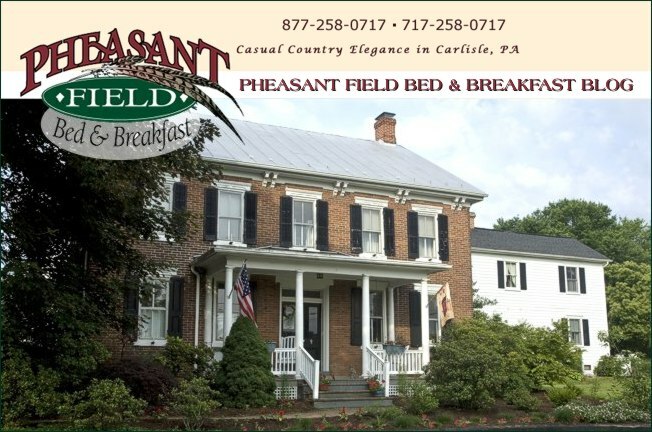 Consider holiday gift certificates for a stay Pheasant Field B&B. Today at the Carlisle Expo center, the Holiday Gift Fair is THE place to look for local gift resources!